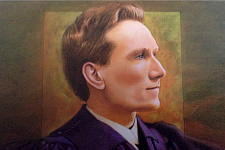 Oswald Chambers (1874-1917) came into a personal relationship with Jesus as his Savior in his teen years. He studied art and archeology at the University of Edinburgh before answering a call from God to the Christian ministry. My Utmost For His Highest, his best-known work, has been continuously in print since 1935 and remains in the top ten titles of the religious book bestseller list with millions of copies in print.